Due to the success of the roadshow of last year, the Flemish Community organized this year also a roadshow. During the 4 - day campaign the Flemish Community visited numerous investors in Zurich, Munich, Vienna, Dusseldorf, Koln, Frankfurt, Oslo, Copenhagen, Paris and Brussels. Shortly thereafter, on May 24th, the Flemish community went on the primary market. They managed to issue EUR 1.25 billion of which a new 25 year BM of EUR 1 billion (yield of 1.899%) and a tap of EUR 250 million on the 2026 BM (yield of 0.795%). 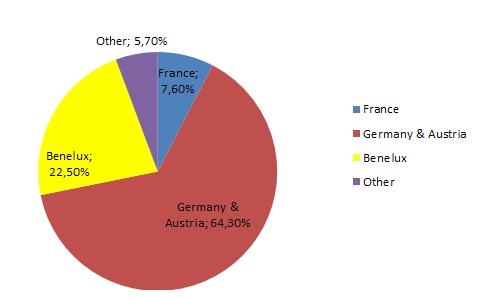 The split by geography en by investor of both tranches are shown in the pie charts below. There was an important international interest in our issue. For the 10 years tranche only half of the investors came from the Benelux and 32.5% of the investors came from Germany and Austria. 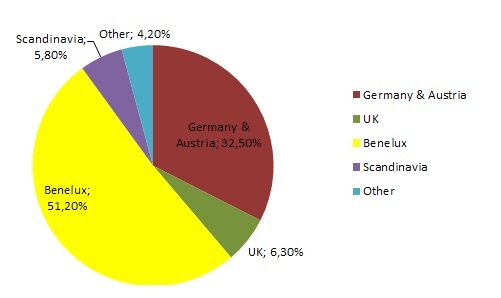 For the 25 years tranche up to 64,30% of the investors are located in Germany or Austria. A small quarter of the investors came from the Benelux. The charts also show the different kind of investor types. 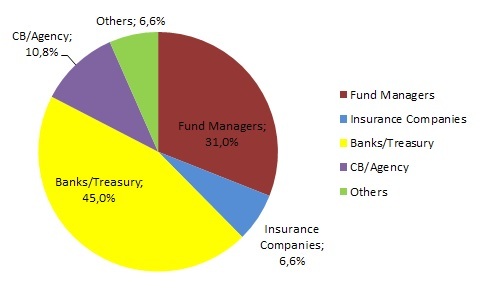 For the 10 years tranche the bank / treasury investors are best represented with 45% followed by the fund managers with 31%. The 25 years tranche there are two kind of investors that pop out. 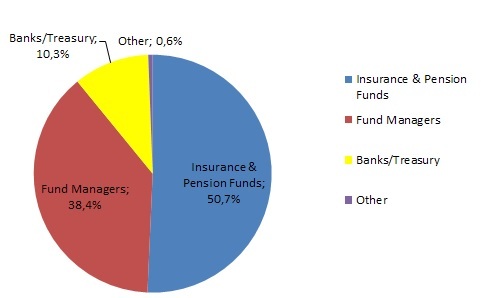 The insurance & pensions funds and the fund managers. Here Below you can find the Investor Road Show presentation of the Flemish Community of May 2017. There are also 2 explanatory notes: one on the Oosterweel link in Antwerp and one on the public finances in Belgium.